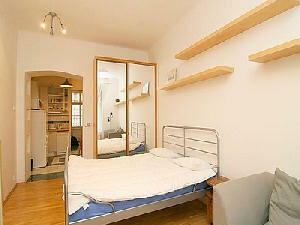 This small, but cosy studio apartment is located right in the old historical town in Prague - Stare Mesto. 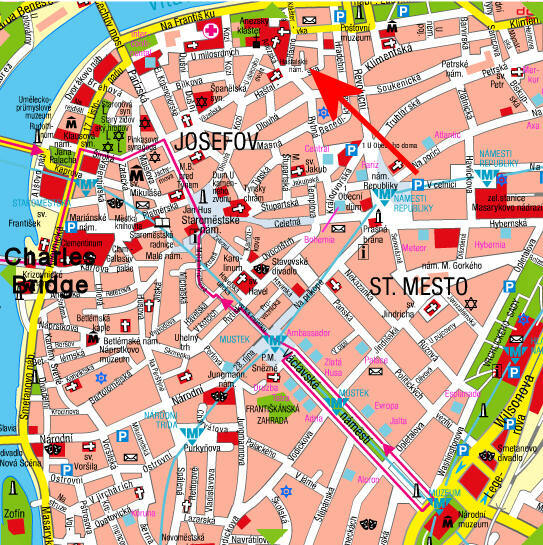 So alle the sights are easily reached by foot - for instance the Old Town Square (Staromestske Namesti) with the Tyn Church and the famous astronomical clock - it is only 7-8 minutes away by foot (according to Google Maps). And the small street of Hastalska really has the nice midieval atmosphere which is so typical for the beautiful Czech capital. Of course you also have all the other sights right next to you as well as excellent shopping opportunities, restaurants (you should try the French Bistro "Chez Marcel" nearby), bars, museums and concert halls. Furthermore is Revolucni street quite close, and here you'll find several tram lines. So to cut it short: this is an excellent location! 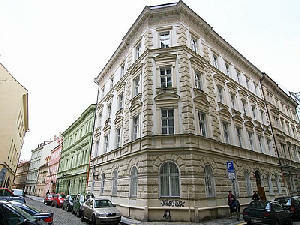 The apartment is located in a beatuful and calm historic building. It is on the 3rd floor - there is no lift. The accommodation consists of a nicely furnished living room with a comfortable queen size bed and really good closet space for your luggage. There's a lounge area as well, with a sofa and a coffee table. There is colour TV and a dvd-player which also can be used as a cd-player. The kitchen is modern and well equipped with a stove, fridge/freezer, microwave oven, electric kettle, coffee maker and the necessary tools and cuttlery. In the kitchen there is a dining area as well. There is ironing equipment. When you arrive you'll find some complimentary refreshments in the fridge, so you can relax and start planning your adventures in Prague. The bathroom is nice and modern. It has a WC and a walk in shower and of course a hair dryer. We've saved the best for last: should you decide to book this nice studio apartment you'll be happy to see that is has a very nice terrace as well - really big enough to let you enjoy the fresh air outside and the wonderful ambience of a Prague night!